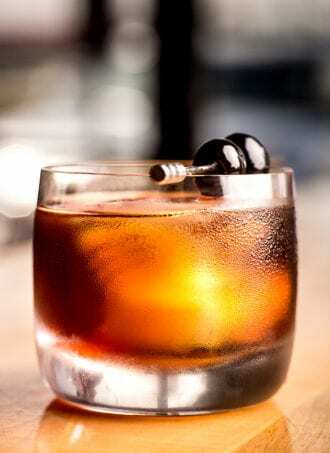 Cold-brew shines in this Coffee Old Fashioned from our 2016 Coffee Bar of the Year, Onyx Coffee Lab. Combine the ingredients in a glass and stir to combine. Add a single large ice cube and briefly stir to chill; garnish.